Comprehensive solution to computerize hospitals, making it possible to document, integrate and review all information relating to patient care and hospital operations with real time clinical information input. It includes specialized applications per clinical environment and uses a multidisciplinary approach of clinical processes. ALERT® PFH is a comprehensive solution to computerize hospitals, making it possible to document, integrate and review the information relating to patient care and hospital operations with real time clinical information input. It includes specialized applications per clinical environment and uses a multidisciplinary approach of clinical processes. ALERT® TRIAGE is an emergency triage software system. ALERT® EDIS is the complete solution for Emergency Departments. ALERT® EDIS, v2.6.2.0, is 2011/2012 compliant and was certified as a Complete EHR on June 14, 2012. ALERT® OBS allows users to document, relate and reuse all the information regarding each Inpatient and OBS episode within hospital emergency departments (including observation rooms in Psychiatry and Pediatrics). ALERT® WAITING ROOM is an application for managing patient waiting lines, thereby optimizing services and reducing patients’ waiting time. ALERT® OUTPATIENT is clinical and management software for Outpatient Units. 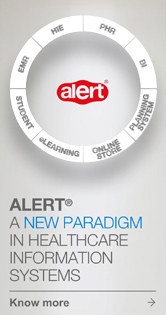 ALERT® INPATIENT is clinical and management software for hospital Inpatient Units. 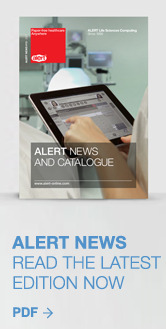 ALERT® ORIS is clinical information system software for operating rooms. ALERT® PDMS enables the collecting of data from clinical monitoring devices and, following pre-established rules, store that same data in the patient’s EMR. ALERT® PHARMACY is the solution for effective medication prescription, administration, dispensing and supply management. ALERT® GP PORTAL is a solution that allows communication between General Practitioners and several professionals in other institutions such as hospitals. The main process that the portal will support is the patient’s referral to an institution, this referral can occur for patients that are already patients of the institution and for patients that will visit the institution for the first time.